Viva Editions authors Carole Brody Fleet and Allen Klein are inspiring millions today with their messages of passionate positivity. Viva Editions' mission is to publish books for inspired living. Our authors are certainly walking their talk. This week, Carole Brody Fleet, founder of Widows Wear Stilettos will be on Huffington Post Live with Oprah's BFF Nate Berkus, discussing tips on incorporating a loved one's possessions as a way to honor and remember them. Carole will also appear on the Mary Jones Show, and Health, Wealth and Wisdom. Author Allen Klein, the world's only jollyyologist, was featured in Inspire Me Today with his tried and true techniques for turning roadblocks into opportunities. Allen Klein can tell you how to turn nos into yesses and is an example of the passionate positive. He is on tour currently, bringing joy to Unity churches, bookstores, and hospitals. 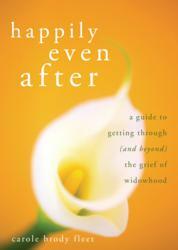 Carole Brody Fleet is Founder and Chief Executive Officer of Widows Wear Stilettos, Inc, and author of the new book Happily Even After. Widely recognized as a leader and expert in the areas of grief and loss recovery, Ms. Fleet is a regular guest on national and international TV and radio shows. She has been featured in many magazines, newspapers and websites, and is recipient of the Embrace Life Award from State Farm Insurance Companies and the Board of Directors Outstanding Service Award from the Soaring Spirits Loss Foundation. Carole Brody Fleet resides with her family in Southern California. Allen Klein is an award-winning professional speaker and author of the new book The Art of Living Joyfully. His books Quotations to Cheer You Up When the World is Getting You Down and The Lift Your Spirits Quote Book have sold over 500,000 copies. Klein resides in San Francisco.